What’s in a name? Well, due to a trademark issue, enough to make The Burger Boss change to Burger Moovment®. 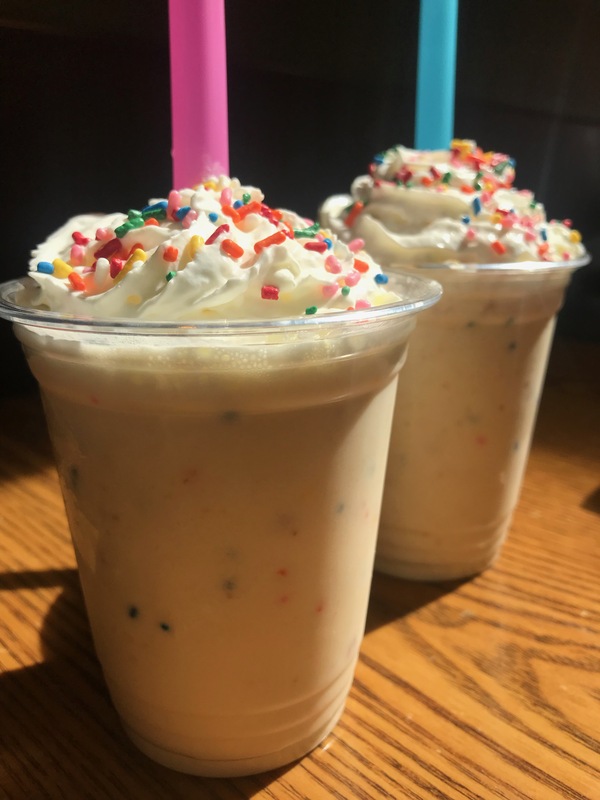 Celebrate our Anniversary Month with a Birthday Cake Shake! *so fresh baked, available in limited quantities daily – when they’re gone, they’re gone! 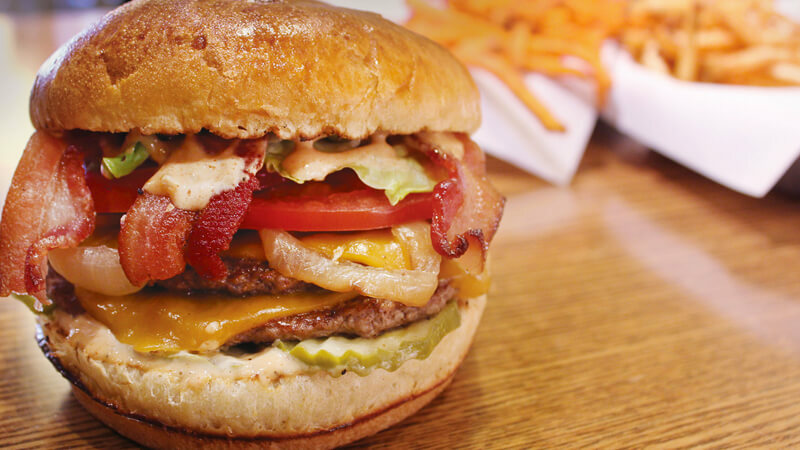 From East Coast to West Coast, the diner burger ordered at every counter in America. 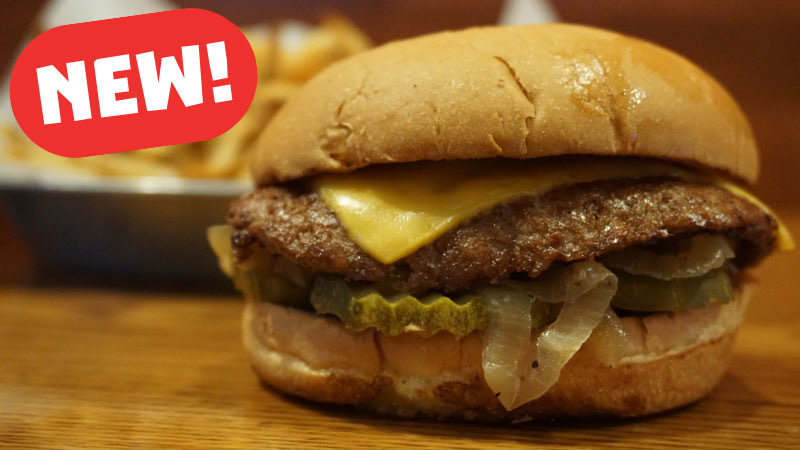 Single patty, American cheese, grilled onions & pickles on a simple delicious white bun. Only $3.25 each – Order a few! 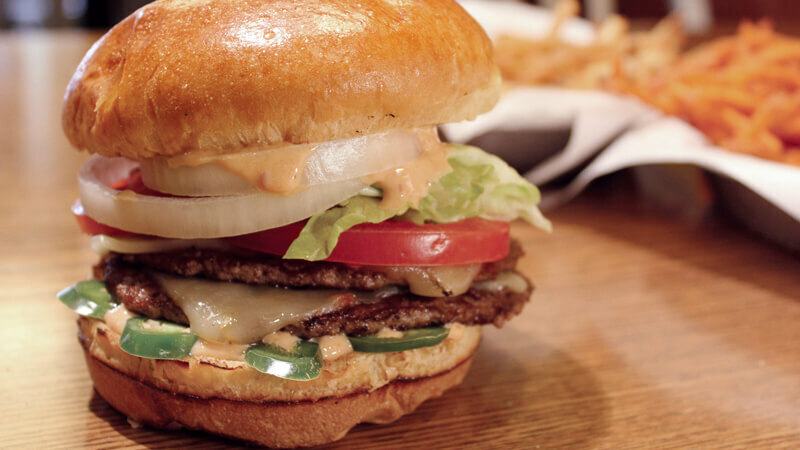 No other toppings or substitutions… no exceptions! 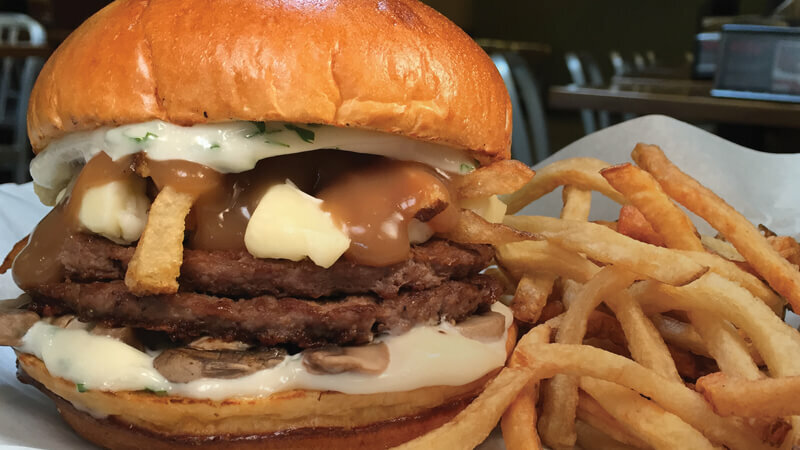 Inspired from the Minneapolis classic, we stuff two patties with gooey American cheese, then top with savory grilled onions, pickles, and MOOV Sauce. 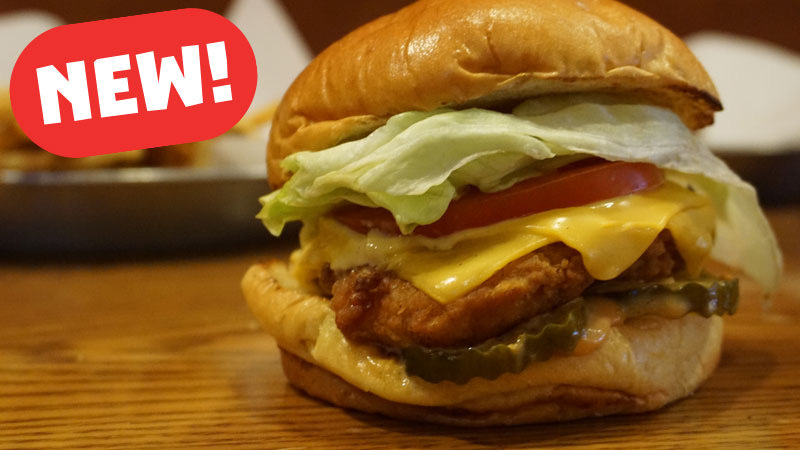 It’s so good, we only have a limited amount each day. Sorry, no substitutions. What’s an anniversary celebration without a Birthday Cake Shake? Get yours all April long! 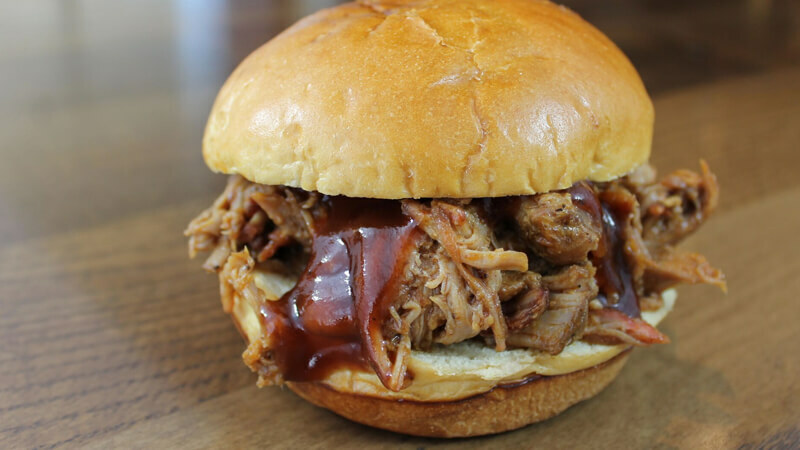 Have our new ‘Q, and our Mini Moov’s at your next event, office meeting or gathering of family and friends! All catering requires a minimum of 48 hours notice. Please fill out the form below or call 708.452.7288 and we’ll get your party MOOVin! Minimum 2lbs each. 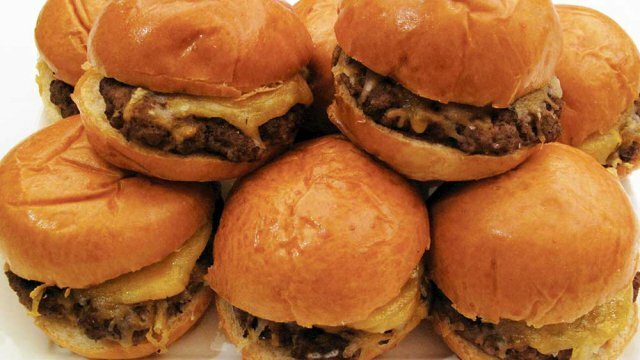 Each pound is approximately 3-4 sandwiches or 8-10 mini sliders. Includes 1 pint of sauce on side. Sauce choices: Carolina Gold, BBQ or Spicy BBQ. Extra pints: $3.99 each. $30.00 per dozen. Condiments on the side. Ketchup, mustard, pickles, 1 cheese. Time to get a MOOV on! We would love to hear more about your upcoming event. 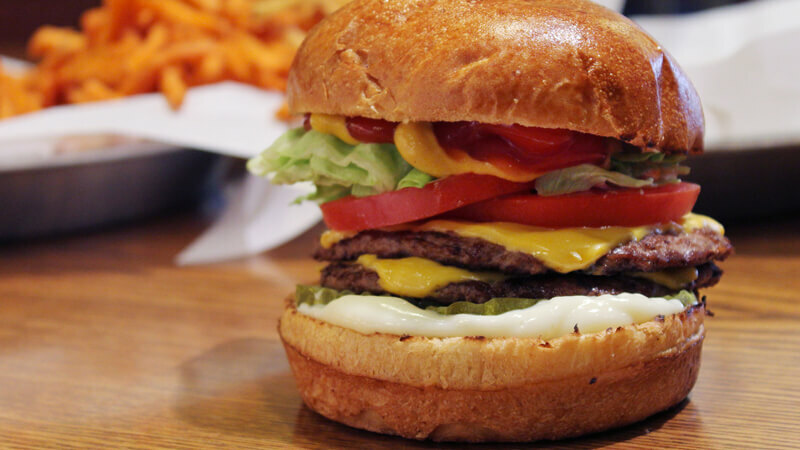 A trademark issue might have pushed us to change our name, but nothing can change our burgers! Not just another burger joint, a MOOVment. Quality in the menu, ingredients and preparation to a thoughtfulness in environmental responsibility all around proves that we mean business. 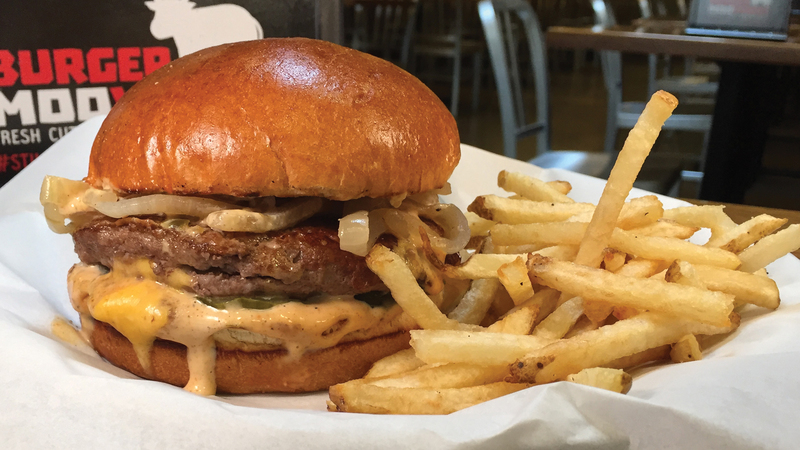 Burger Moovment® uses 100% Midwest Angus beef and everything is made on the spot, with plenty of create your own choices or one of our signature selections. Fries are fresh cut Idaho’s or sweet potatoes and premium shakes are spun to order. Our Moovment is about sustainability, the use of renewable and recycled materials, and working a little greener into the floor plan and everyday operations. Keeping an eye on quality, freshness, and a better planet for you MOOVers and shakers! Reserve a special day when 15% OF NET SALES* will be donated back to your school with Dine and Earn! It’s easy, just come on in and enjoy some burgers, fresh cut fries and premium shakes with your family and friends to SUPPORT YOUR SCHOOL. Ask management for more information and availability, and get MOOVin’ and shakin’ to DINE AND EARN! 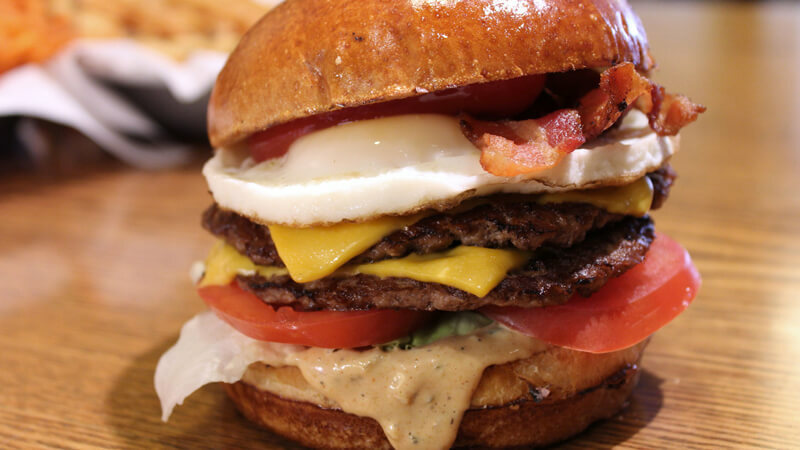 Angus Burgers, Fresh Cut Fries and Premium Shakes in an Earth Friendly Fast Casual Hot Spot! 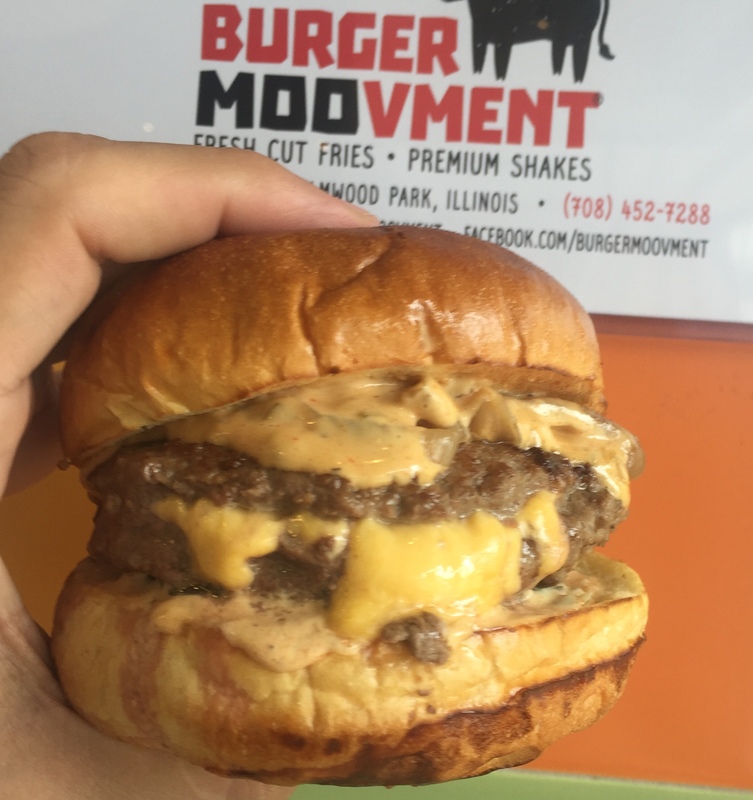 With the success of Burger Moovment® in Elmwood Park, Illinois, there is an immediate need for more corporate owned locations. 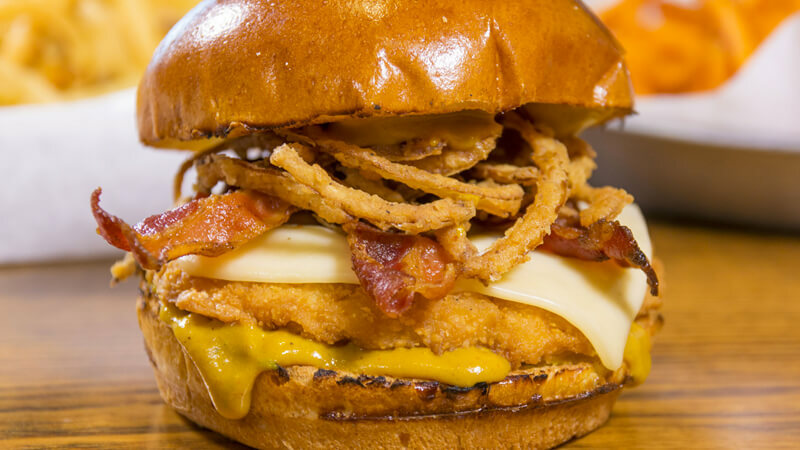 Serious burger lovers ready to invest, this is your opportunity to shine. 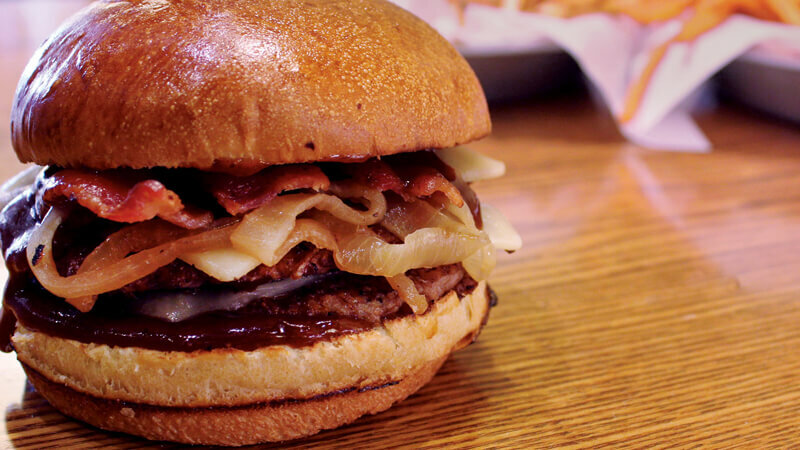 Burger Moovment® is, though, so much more than your average burger joint. Be prepared to have a stake in a modern establishment that takes thoughtful steps in planning, preserving and renewing our planets resources, as well as serving up the best 100% Angus beef burgers, fries and shakes. From the use of recycled materials in the build out process, to the everyday use of waste controlled napkin dispensers, we believe in earth friendly touches are everywhere. Local? Organic? If it is cost effective and procurable, we’re on. Fresh farmed, sustainable, natural foods are just tastier. And a Green MOOVment is an important one. 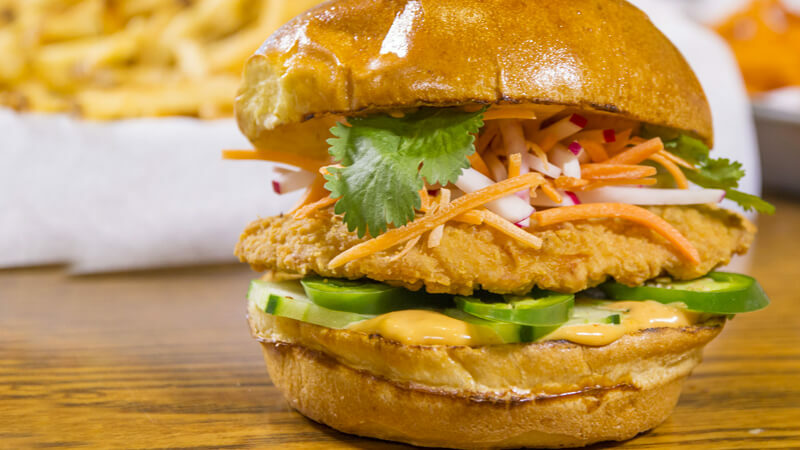 Burger Moovment® is not only a haven for burger lovers, but a community hangout, a family afternoon out, a quick stop for a premium shake, or a great carry out for a meal on the run. You, as a Burger Moovment® investor, will be privy to the experience and proven methods to a successful, thriving Burger Moovment® operation. Now you’re talking. Ready to get started? We are here to help. Contact us for more detailed investment opportunities. Serious inquiries only. 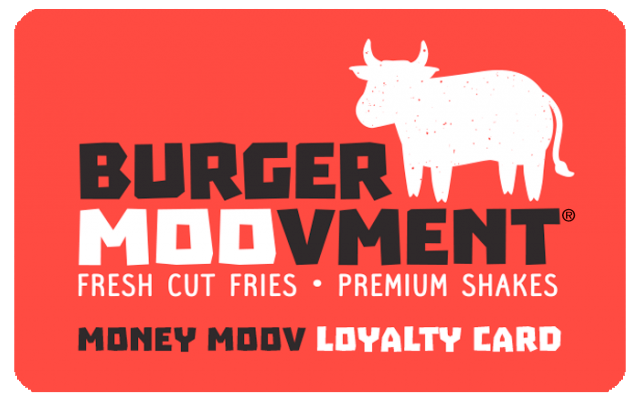 We’re always looking for MOOVers and shakers that care about a MOOVing burger experience! Time to join the MOOVment! None available at the present time. Please fill out the application below if you’d like to join the MOOVment! Best for your guests, and perfect for parties, start a mini MOOVMENT! Moov Minis must be ordered 48 hours in advance. Got a gift card? Check your balance here!